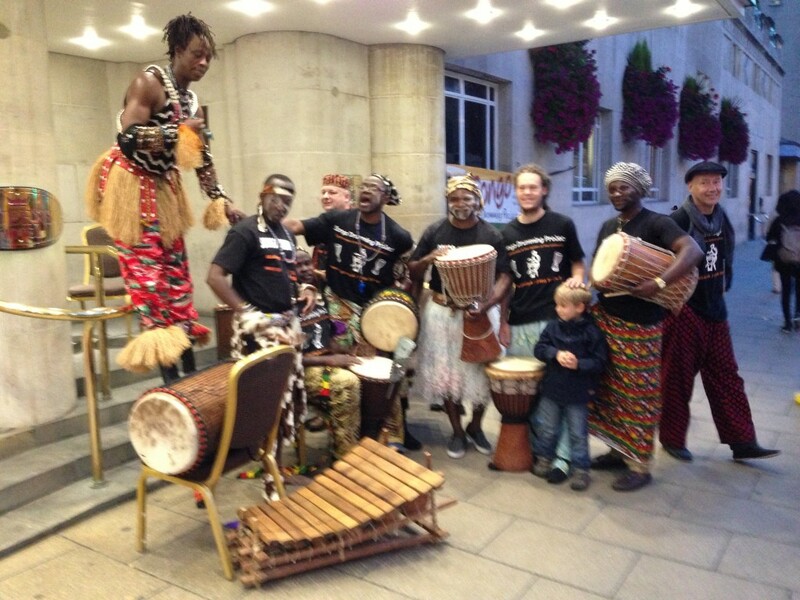 Engaged to entertain and encourage the new arrivals to the Awards Ceremony at Leeds Queens Hotel,The Songo Drumming Project were determind to help focus people’s minds on some enjoyable aspects of cultural diversity! This entry was posted in Performances and tagged diversity, featured, performance by Songo. Bookmark the permalink.